More and more travellers choose to spend their money as responsibly as they can in eco-friendly areas. Mexico has many great resorts that support ecologically sustainable practices and still dish up all the fun you are looking for on your holiday. On the Yucatan peninsula near Chichen Itza, the hacienda was built in 1523 and has ties to the ancient Mayan culture. It’s within easy reach of the Court of the Thousand Columns, the Pyramid of Kukulkan and Cenote ik kil. If all that wasn’t enough, the resort is committed to promoting sustainable tourism and offers a number of tours that will let visitors enjoy nature, visit archeological digs and learn more about the ancient Mayans. They also practice what they preach by following sound ecological practices within the resort. The grounds of the resort are dedicated as a bird refuge and Maya Jungle Nature Reserve, while the staff is actively engaged in social programs to support local families and preserve Mayan culture. Even the building is ecologically friendly, with recycled materials and furnishings, diligent care of the water supply and LED lighting throughout. They even grow their own organic produce on the property and harvest wild honey. The Yaxkin Spa is tucked into the jungle that surrounds the property and visitors can experience ancient Mayan healing using the natural essences of honey, cacao, aloe vera and herbs. When combined with a massage, you’ll fully appreciate the strength of ancient practices that use nature to heal. Situated on a beautiful stretch of beach in Tulum, Amansala is far enough away from the town that you’ll feel as though you are in a remote part of the world. 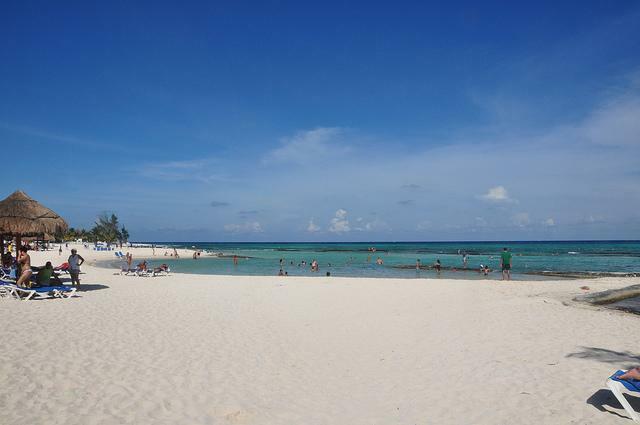 The nearby ruins of Tulum are easily accessible and the beach is right out the door. The resort is near enough to the world’s second longest reef to entice scuba divers and snorkelers to its doors, along with families wanting to take advantage of the calm waters of the bay. The cabins are peaceful and simple, mixing harmoniously with the rocks and wood that surround the resort. The food is fresh and local, keeping with the simple luxury of the setting. The rooms are decorated with driftwood and riverstones and fresh flowers are there for your arrival. There is a large yoga room for exercise and a variety of eco tours available. A Mayan clay treatment and massage at the spa is a perfect way to end a day of enjoying the private beach and warm, gentle waters of the ocean. In an ecologically rich region of Riviera Maya, Sandos Caracol is an all-inclusive experience that includes mangroves, jungle foliage and a sparkling white beach. It has activities for kids, a night club and facilities for large groups. It also offers educational activities designed to teach kids about interacting with the plants and animals around them in a responsible way. The jungle and mangrove forests are filled local animals, including brilliantly coloured macaws and peacocks. The cenotes (natural groundwater pits) are carefully preserved and as well-cared-for as the rest of the resort. The hotel has an active recycling program and works to improve the lives of local school children. Guests are encouraged to contribute to the program by bringing school supplies with them to the resort. Eco tours take visitors through the jungle and to Mayan ceremonies. The resort is larger than many other eco-hotels and families will find it more affordable and very kid-friendly. Somewhere between the Sierra Madre Mountains and the Pacific Ocean sit a number of palafitos amid palm trees and just a short jaunt from an incredible national park. The nearest city is many kilometres away and visitors are immersed in the nature that surrounds them. The Desconocido staff are actively involved in maintaining a bird sanctuary around their hotel, inviting pelicans, herons, frigates and many other species to share their space on the Pacific. The palafitos are small stilt huts built right into the water, so guests of the hotel can also feel a part of the sanctuary. There is no electricity, no phones and no distractions. The hotel is lit with candles and torches and everything around you is biodegradable. This hotel is less about telling you to be environmentally conscious and more about showing you how to do it. 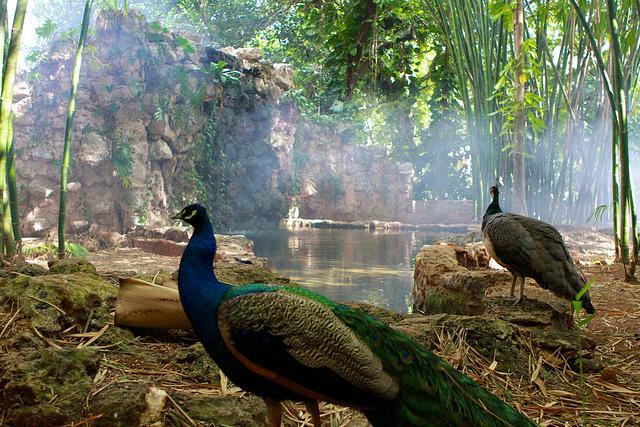 The northwestern part of the Yucatan Peninsula is a designated wildlife reserve known as the Celestun Biosphere. It’s the main feeding area for the American Flamingo and is shared by many other water fowl. It’s also the nesting area for four species of turtle and the beach near the hotel sees dozens of females come ashore at night to lay their eggs in the summer. In the jungle areas of the preserve, spider monkeys, jaguars, ocelots and coati thrive all year round. Here, amid all this raw beauty, you can lay your head. From the hotel you can kayak through the waterways of the Celestun, bike along trails in the jungles, visit Mayan ruins, caves and cenotes, fish, birdwatch or simply relax and enjoy the ocean. All excursions are guided and provide education, as well as amazement. The hotel also offers guests cooking classes and instruction on appreciating the unique flora on the peninsula.